Google appears to be working on a dark mode for Assistant. According to 9to5Google, the newest Google app beta — version 9.5 — brings a work-in-progress dark mode to Google Assistant. Currently, if you have ‘Night mode’ turned on in Android Pie’s developer options, or if your phone is running in battery saver mode, Assistant’s dark mode should activate. For me, battery saver didn’t affect Assistant, but changing the Night mode setting in developer options to ‘Always on’ enabled the Assistant dark mode on my OnePlus 6T. 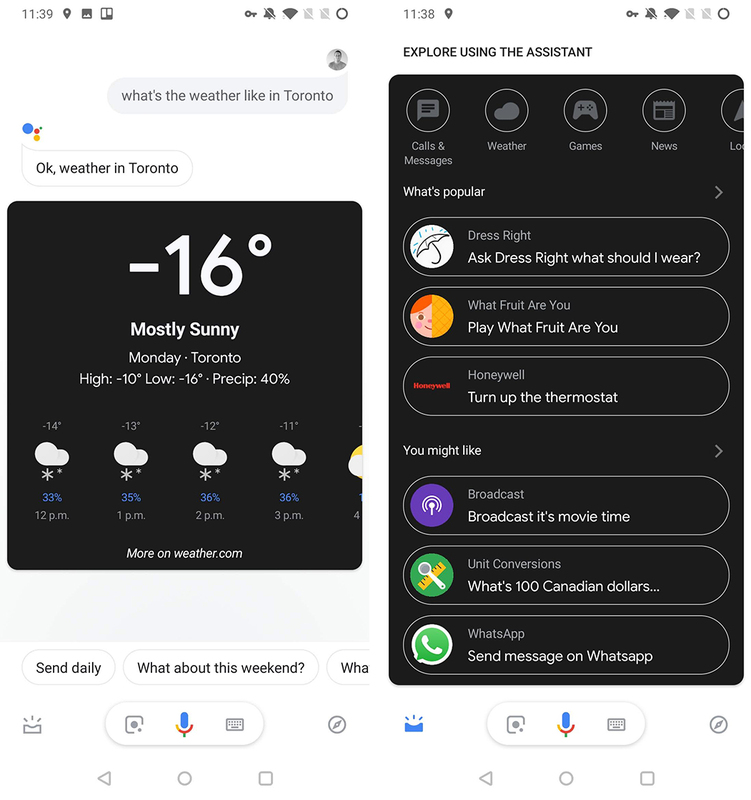 Currently, the dark mode only changes Google Assistant response cards, like weather cards or flight cards. It also darkens some cards in the ‘Updates’ screen. In all cases, the dark mode changes cards from a stark white to a grey with white text. However, the feature is clearly still in development as most of the Assistant interface remains white. Further, some cards take longer to load with the dark theme, suggesting underlying stability issues. Ultimately, it’s good to see dark mode coming to everything. It’s no surprise, however. 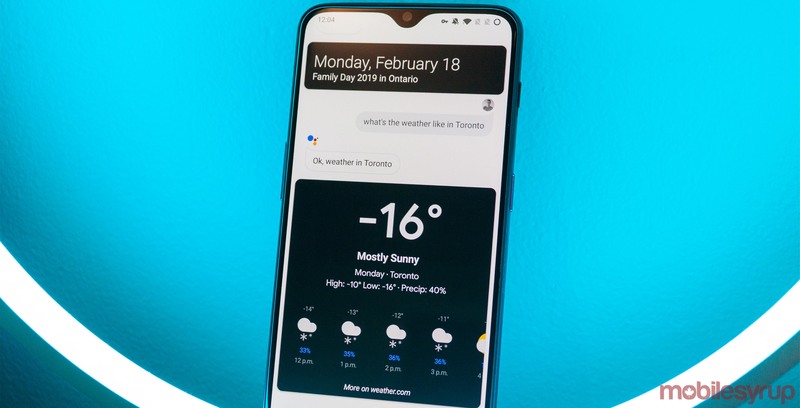 A recent leak of Android Q revealed that dark mode is going to be a significant part of the next version of Android.